For the movie “Batman v Superman” (release date: March 26, 2016), the vehicle piloted by The Caped Crusader reportedly weighs in at a hefty 7,000 pounds, is 20 feet long (about three feet longer than a Chevrolet Suburban). It looks like a creation by Lamborghini’s design department after drinking way too much Red Bull, but despite the dimensions, it’s claimed to reach a top speed of 205 mph, thanks in part to a rumored hybrid powerplant. 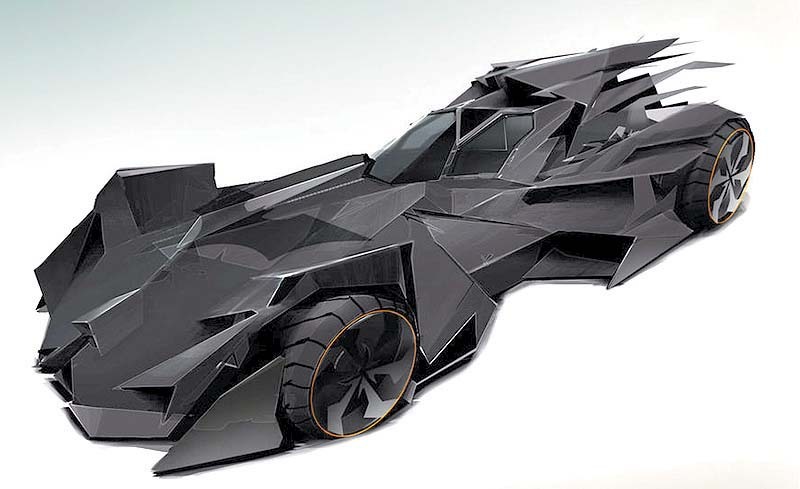 It looks like an evil version of a Lamborghini Aventador, but the new Batmobile is like a tank at 7,000 pounds.